This two-story, 30,000sf expansion and renovation project includes a new entry and exterior patient pick-up, nine operating rooms, and a 26-room Observation Unit. The new facility integrates advanced technologies and evidence-based design practices that enhance hospital operations and patient safety, comfort, and privacy. 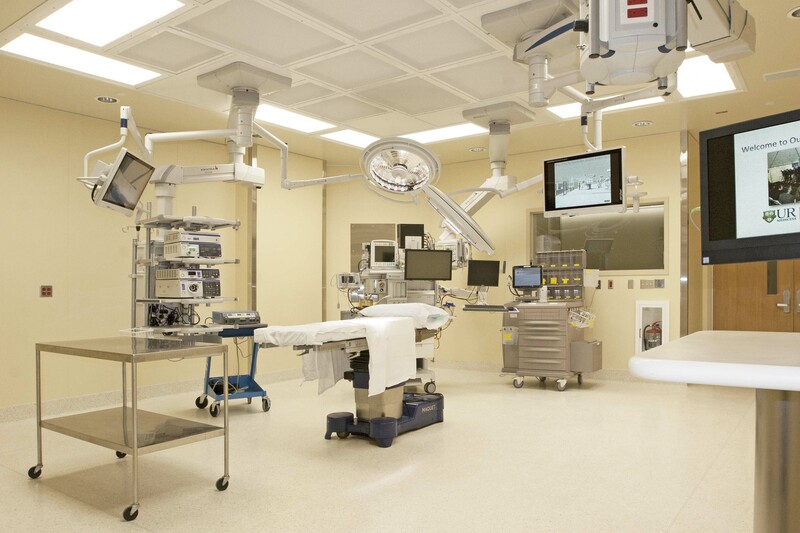 The Surgical Suite component created expanded standardized operating rooms. The larger rooms include equipment on booms to free the floor of wires; in-room nurse’s stations to manage flow and activity throughout each case; and standardized layouts with mobile carts so that each operating room is the exact same – an evidenced-based research and design element that has proven to decrease error, disruption and lost supplies. 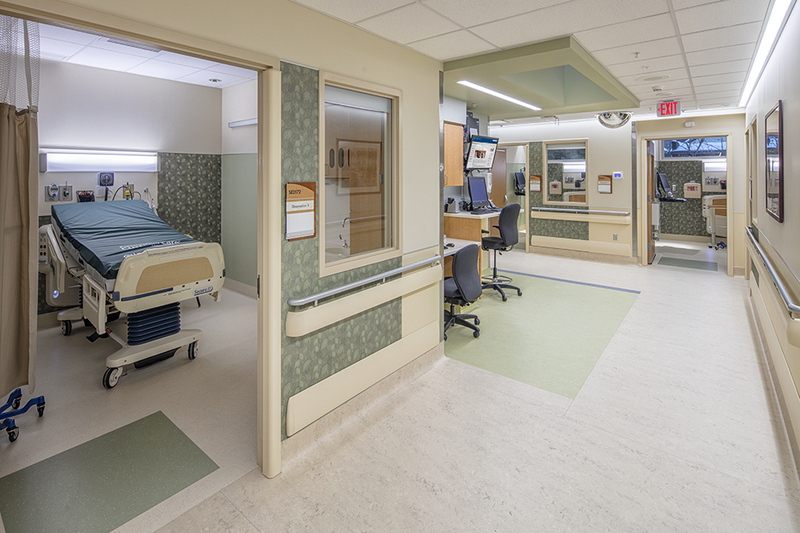 The new, unique, private-room Observation Unit brings together a function that was previously spread throughout the hospital. The unit allows one place for a specialized team to focus solely on the observation patients – and puts the dedicated nurses closer to patients. The unit also allows Highland the space to provide more single care patient rooms elsewhere in the hospital.